Prototype: 2 privately owned acid container cars and 1 privately owned 2-axle tank car used on the German State Railroad Company (DRG). The cars look as they did in Era II. 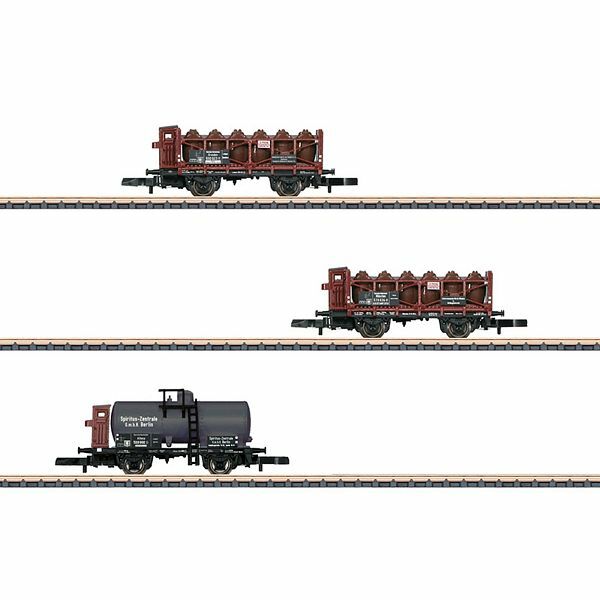 Model: The 2 acid container cars each have 12 "acid pots" and a brakeman's cab. The tank car has a brakeman's cab. Total length over the buffers about 120 mm / 10-1/2".